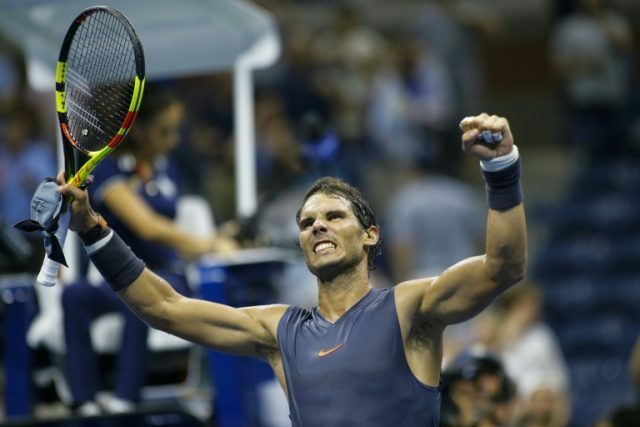 Nadal, spared the worst of the heat thanks to his late-night start on Arthur Ashe Stadium, sped past Pospisil 6-3, 6-4, 6-2. Former champions Stan Wawrinka and Juan Martin del Potro also advanced, while 2012 winner Andy Murray, like Wawrinka back at Flushing Meadows after missing last year through injury, was bounced by Fernando Verdasco. Wawrinka survived searing mid-day heat and a spirited Ugo Humbert. “My level is there. I’m playing really good tennis,” added Wawrinka, who was unable to defend his 2016 title after undergoing two knee surgeries last year. “I think there is a good chance that I’m playing better in the next round,” said the Swiss, who will face Canadian Milos Raonic for a place in the last 16. Meanwhile Murray, the 2012 US Open winner, who was playing his first Grand Slam in 14 months, is still fighting to find full fitness after hip surgery in January. He was disappointed to surrender the first set after holding a set point, but pleased he had enough in the tank to push Verdasco through five break points in the final game before the Spaniard converted his third match point. Even with his current limitations, Murray is a dangerous opponent, Verdasco said. “He’s an unbelievable player, so talented. No matter how much his hip hurts or whatever, he’s going to fight and he’s going to put all the balls he can in and run,” Verdasco said after earning a third-round meeting with 2009 champion del Potro. The third-seeded Argentinian, who career was nearly ended by wrist injuries after his maiden Grand Slam triumph here, defeated American Denis Kudla 6-3, 6-1, 7-6 (7/4). “You don’t have fresh air to breathe — you breathe this heat that’s coming, the moisture that’s in the air. So you feel like you are empty,” said the 15th-seed, who fell 6-4, 6-3, 4-6, 6-3 to Russian Daniil Medvedev.